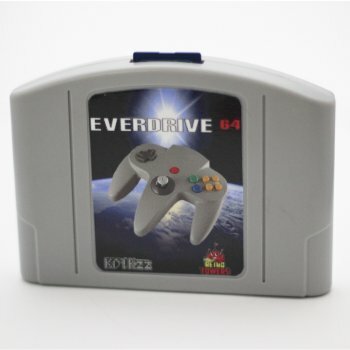 Everdrive 64 v2.5 is a flash cart for the Nintendo 64. It can play N64 and NES games from an SD card! 1) How do you set up the Everdrive 64 v2.5 up? Go to http://krikzz.com/pub/support/everdrive-64/os-bin/ and download the latest version of OS64.v64 and put it inside a folder called ED64 on the root of the SD card. 2)How do you save a game on a Everdrive 64 v2.5? To save a N64 game. Just play the game, like you normally would, but when you save the game push reset on your N64 console and then your save will be backed up to the SD card.